Tucson's residents happily proclaim the city to be the 'Mexican Food Capital of the US' and it is hard to refute this claim, with the city of Tucson containing a host of world-class restaurants and dining choices. The Mexican state of Sonora lies just across the Tucson border, ensuring that there are some excellent Mexican eateries and restaurants in town. You will see Sonoran cuisine at many restaurants in Tucson, with dishes consisting of corn tortillas, cheese, chicken or beef, pinto beans and mild peppers. 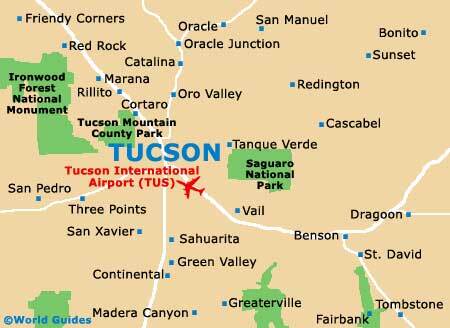 Tucson also happens to be the birthplace of the chimichanga, a deep fried, cheese-filled flour tortilla. Breakfast joints in Tucson usually open between 06:00 and 07:00 to catch business commuters, and there are also a few 24-hour diners in town. Most places opening for lunch in Tucson do so at about 11:00 and close again at 14:00, while evening establishments open their doors at around 17:00 and close at 21:00 or 22:00. Shopping mall restaurants generally stay open all day. For wining and dining in restaurants at Tucson, the best places to head are the El Presidio Historic District, Fourth Avenue and the Foothills area. Here you will find many top quality restaurants serving exquisite wines. The Barrio Historico District also has a number of wine bars for after dinner drinks. If you miss out on breakfast at your hotel or fancy checking out the local Tucson brunch scene, Fourth Avenue has the largest collection of cheap eateries. Tucson's Downtown Arts District is known for its trendy sidewalk cafés, where American greasy spoons are in abundance. The shopping malls in the Foothills district of Tucson are home to a surprising number of classy restaurants, providing sustenance during shopping hours. Foothills Mall is a good place to start, while La Encantada comes into its own with its Mexican flavor restaurants. When it comes to evening dining in Tucson, the Foothills area can't be beaten, owing to its numerous sophisticated and stylish eateries and restaurants. 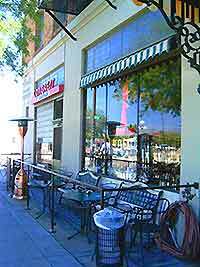 There are international establishments galore in this part of Tucson, including French, Greek, Spanish and Italian restaurants, not to mention the superb Mexican fare on offer. 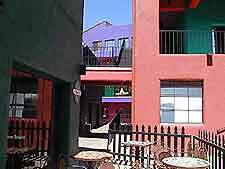 Also one or two collar and tie restaurants can be found in Tucson's upmarket and charming El Presidio Historic District.